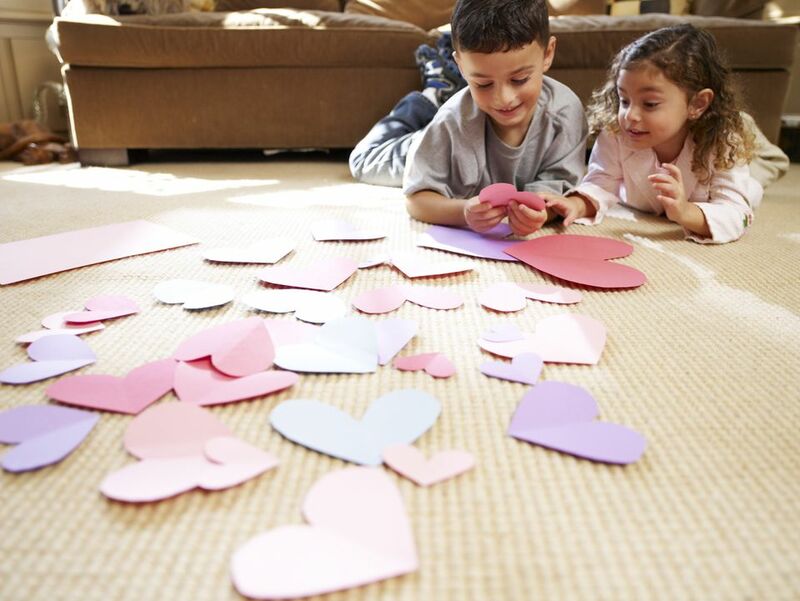 A heart template or stencil can be used as a pattern for a craft project, a holiday decoration, or even as a coloring page that the kids can decorate. They're perfect for any time of the year, especially Valentine's Day. You can use them to cut out hearts to use for notes and cards, or decorations for a wedding, engagement party, or other event celebrating love. These printable heart templates and stencils come in all different shapes and sizes including small, medium, and large. Hearts can also be longer, rounder or even anatomically shaped, so there are a variety of links to browse for the heart you had in mind. Here are some printable heart templates that come in all different sizes and shapes. They're all free to print and use in your personal projects. First Palette's Free Heart Patterns - First Palette has five sets of heart templates, each in a different size and is available in 1-12 per page. Heart Templates at Tim's Printables - Over at Tim's Printables you can find eight free heart templates and stencils, in 1", 1.5", 2", 3", 4", 5", 6", and 6.5" sizes. Each page has been filled with as many hearts that will fit. What Mommy Does' Heart Templates and Stencils - There are not only different sizes of heart templates here, there are also different shapes including rounded hearts and taller hearts. Anatomical Heart Templates from Me Sew Crazy - Get a little bit nerdy with your heart templates, with these free anatomical heart template. Heart Shaped Card Template from Coloring Page - This template makes it easy to create a heart shaped card. Simply print it out, cut, and fold it into a card. Valentine Heart Templates from The Blue Bottle Tree - I love that these heart templates have the size of them printed right inside. They range from .75 inches all the way up to 5 inches, with a total of nine heart templates. Free Heart Templates from ClipArtBest - There are heart templates here in just about every size and shape you can think of. Besides standard hearts, there are double hearts, hearts with arrows, lace hearts, hearts with stars, and more. Skip to My Lou's Heart Templates - Skip to My Lou has a handful of heart templates, including a page full of four hearts that are cleverly arranged so several can fit on one page. Heart Gift Tag Template from Homemade Gift Guru - Create a simple heart gift tag with this free template complete with a hole for a string or ribbon. Free Heart Bunting Template from Brother - Create a heart bunting with these free heart templates that already come with a pattern but can be used as a template for your own creation. Heart Card and Envelope Templates from Earth Mother Crafts - The free heart templates here will create a heart top box, hanging heart pocket, and a secret heart card. Can't get enough hearts? Be sure to check out this list of free heart clip art, free Valentine's Day clip art, and printable valentine coloring pages. If you are going to cut out these heart templates and use them to trace around, you'll get the best results by printing on a thicker paper such as card stock. Try folding the paper in half at the center of the heart so your cuts are symmetrical. That is, of course, unless you are using the anatomical heart template or another template that is asymmetrical.